Thinking about working with SolarCity, but wondering what sort of reviews they have online? We’ve done the hard work for you by aggregating review scores from multiple websites below. We also highlight common customer comments (both the good and the bad) and compare SolarCity reviews to other solar installers. The vast majority of reviewers had a fantastic experience, but for a full quarter of reviewers, the experience was presumably quite disastrous. What’s going on? Just like with Best Company, most reviewers loved their experience with SolarCity, but a worryingly high 17% gave just 1 star – that’s almost 1 in 5 reviewers! The plot thickens…. Reviewers on Solar Reviews give SolarCity an average rating of 2 ½ out of 5 stars. 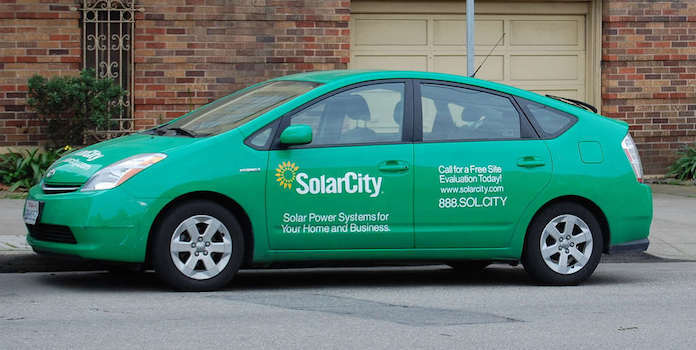 Just like the first two sites, many reviewers gave 5 stars and others gave 1 star to SolarCity, averaging out to a very middle-of-the-road score. We’ve seen that review scores vary from user to user. What’s going on? Maybe the different reviewers have different experiences depending on the branch of SolarCity they work with? The installer works in over 20 states and so has branches across the US. How do you know if your city’s branch is any good? Check out Yelp! Average reviews vary from branch to branch, but diving into the actual reviews, you’ll still find a wide variety of experiences. Some homeowners love SolarCity, others rue the day they ever signed their solar contract. You might be scratching your head a little bit right now. If everyone is working with the same company, how can everyone’s experiences be so different? What exactly is going on? Why do homeowners have so many different experiences? It all boils down to the fact that, yes everyone is working with SolarCity, but in reality, one person is working with Suzy the salesperson, John the customer service rep, and Joe and the Gang of installers, while another is working with George, Patrick, and Lisa. SolarCity is a big company working 22 different states. Every homeowner is going to work with different people and will have different experiences. This is why Yelp reviews and personal recommendations are so important. 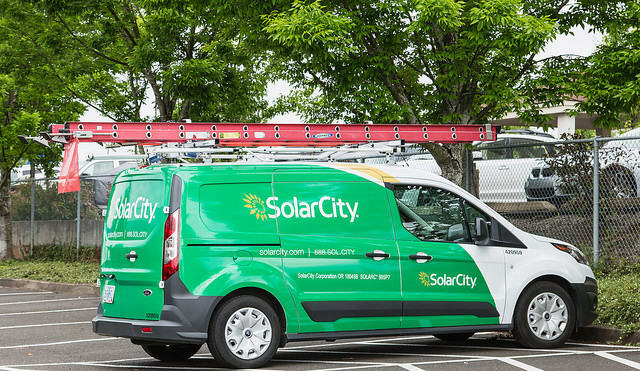 You need the inside scoop on your local SolarCity branch. Did your neighbor have a great experience with their sales rep? Get her number and call that same rep so you can also have a great experience! That being said, there are common issues that homeowners experience with SolarCity. Let’s take a look now. Of the more positive reviews of SolarCity, reviewers discuss specific salespeople’s honesty or communication, great customer service, and attention to detail during installation. I truly appreciate the attention to detail shown by the SolarCity system installers, as well as the concierge service, making any number of call to answer questions and provide needed information regarding the product. Your service was excellent. Very professional, great customer service. Punctual to all schedule appointments. Always followed up via email. [Salesperson] was very professional and knowledgeable about the systems, business models, and options for me to consider. As you can see, all the reviews focus on professionalism, timeliness, and knowledgeability. For each great salesperson or installation one reviewer experiences, there’s another reviewer who had a terrible experience with their salesperson or installation. Our [salesperson] has a full voice mailbox for weeks now. We called HQ and the service was spotty and disorganized on that end, too. We are growing frustrated with the lack of customer service to get our project finalized. The bills are confusing. My wife is an accountant and could not track what they were doing on the bill. We are planning to go solar before summer and this company was one of the ones we were looking at. No longer. You’d think when they send someone out to survey neighborhoods they would send people with a personality and some semblance of friendliness. Not the guy they sent to our block! Unfriendly, rude and combative. Not the way to sell a product. Years of potentially poor customer service overrides any cost benefit always. Online reviews for other national solar companies are very similar to SolarCity. Online reviews of Sunrun, Vivint, and Sunnova both praise and condemn the companies for their customer service, communication, and sales and installation practices. It took almost 2 years to get a system installed. Very friendly people when you call but nothing gets done. No one calls backed when they say they will. Sound familiar? This could easily be for SolarCity as well. #6 Should You Work with SolarCity? All this might be leading you to wonder if it’s worth working with any solar company at all. With reviews so polarized, how do you know if you’ll have a great experience? Well, online reviews are just one piece of the pie! As we’ve seen, each reviewer’s experience is largely dependent on their local branch and the individuals they work with. Is their salesperson honest and trustworthy? Is the local branch efficient and quick in their paperwork and installation practices? The best thing you can do is gather knowledge about your local branch. Pretend you’re Agatha Christie, uncovering clues. Read Yelp reviews of your specific branch. Talk to friends and family who’ve worked with the local branch before. If they had a great experience, get their salesperson’s name and give them a call. If it wasn’t so great, you might want to look at other companies. Of course, the sales and installation are just the first steps in your new solar life. After the installation is complete, you’ll be working with the customer service and billing departments if something goes wrong over the life of your solar installation. Instead of a local office, these departments are likely at a centralized regional or national office, so it’s harder to judge if you’ll have a great experience there. To set yourself up for a great experience after your installation is complete, be sure to understand everything before signing the contract. Be sure to know the answers to questions like these: Does your monthly solar payment increase? What will your utility bill be after the installation?Does the utility charge solar customers any fixed monthly fees? How does that affect your solar savings? What happens if lightning or any other ‘Act of God’ knocks out your system? What if the solar installation doesn’t produce as much electricity as you were promised? All these questions (and more) are important to know before getting into any solar agreement. The more you know, the fewer unpleasant surprises there will be later on! No matter who you decide to work with, the first step is contacting several installers to compare savings, customer service, and cost. Once you have all the information you can get, you’ll be better able to make an informed decision.